You are here: Home » A windy one on the track! A windy one on the track! 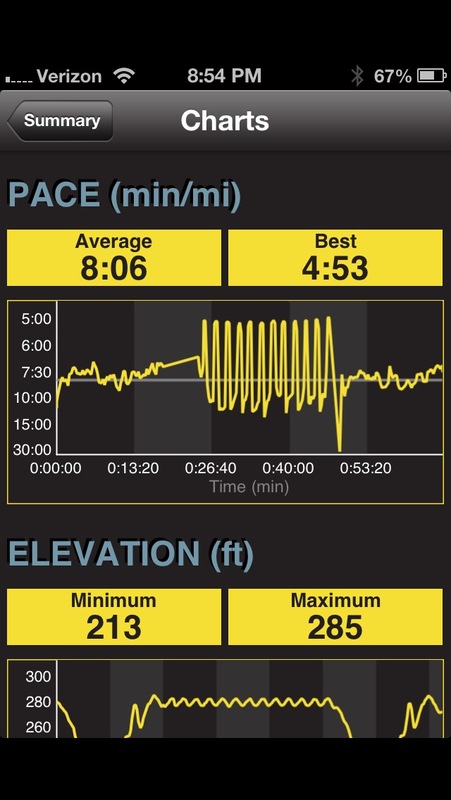 So today Coach Johnny had me run 12 x 200m at 5K pace with 2 miles warm up and 2 miles cool down. I knew that CYO uses the track on Thursday evenings so I waited a but to head up to the track with the idea of starting my warm up when they were starting to finish up. I saw a friend from the Bucks County Road Runners, Karl Prior, who has become of of the lead coaches with CYO so I asked him about when they were going to finish up. He said in about 20 minutes which worked well for me to start my warm up. 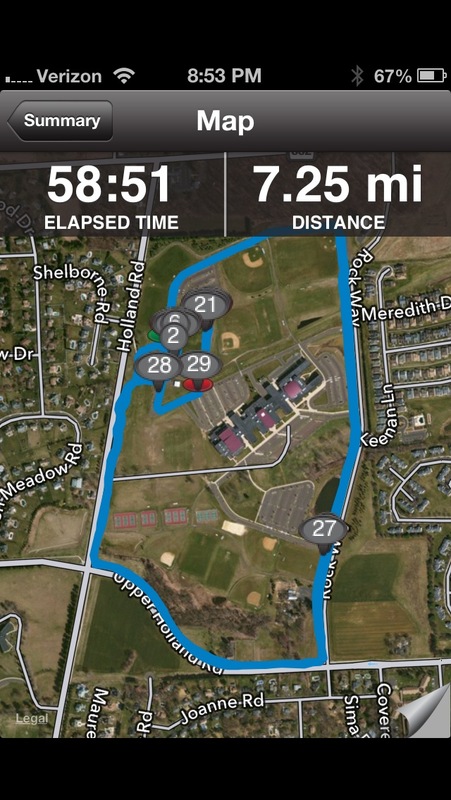 I got in my two miles around the school and as I headed back to the track I could tell they were finishing up. I was able to take off my sweats and stretch for a few minutes and begin the workout. The winds were strong and swirling so I decided not to worry too much about times and just run based on effort. I started the first one and …. 39. Hmm… That seemed perfect, not too hard but quick. I managed to knock off the next 11 at about the same pace. I am happy with this one. It was dark by the time I started the cool down so it was a good thing I brought the headlamp. The cool down was nice and easy and now I get a day off tomorrow. Saturday is a tough one and then a medium long run Sunday on the canal. Another one in the books!